Your GRE score is an important factor that determines whether a student gets admission to a college or university of his or her choice. However, many of the students who are planning to take the GRE, are holding a full-time job since higher education is expensive and they have to pay other expenses also. Most businesses expect the student to be in the office or business premises most of the day, and the student also has to spend time commuting to the workplace which doesn’t leave much free time. However, in order to get a good GRE score the student will have to spend at least a few hundred hours studying. While it is easier to study more if the student is free for a longer period of time, even the shorter periods of free time can be utilized effectively to improve the skills and knowledge of the student. Most young people are using public transport to commute to their workplace and the time which they spend traveling daily is approximately the same. Hence, with proper planning the student can complete some studies daily while commuting. The studies can be divided into different modules so that one module is studied daily. The GRE test prep lessons may even be uploaded onto a mobile device for daily study. Many students are focusing only on studying for the GRE and other exams and they are not working. Hence, they will require fewer days to prepare for the exam since they can study the entire day. However, a student who is working full-time will be able to study only for a few hours daily, so they should start their exam preparation many months before they plan to take the exams. This ensures that the student has plenty of time to prepare for the exam, and the study schedule is not affected if the student is unable to study for a few days. Ideally, the student should arrange for leave a week before the exam to practice better. Another important tip for students with a job is that they should focus on efficiency while studying. They should make a detailed GRE test prep schedule after considering the free time which they have available during the day for studying. They should check the percentiles in each subject and focus on subjects in which it is easy to improve their score without much effort. 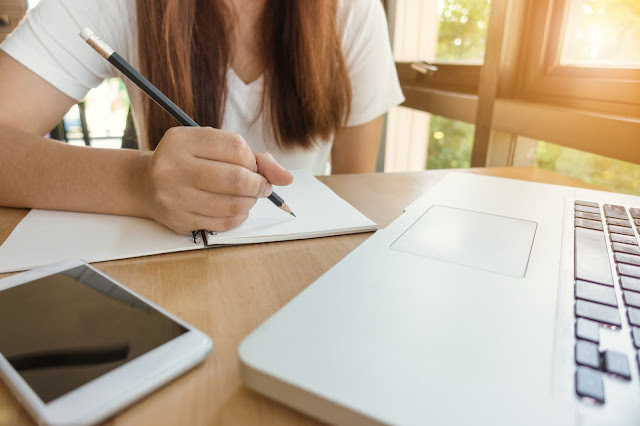 Many working students also utilize the help of a GRE test prep tutor to help them stay accountable and focus on the skills they struggle with the most. The student will be able to improve their GRE score only if they have some idea of their strengths and weakness. Hence it is recommended that the student take a practice test at the earliest stage of their GRE test prep, to evaluate their scores in the various subjects. There is going to be room for improvement in the subjects in which they do not score well, and they should allocate their study time accordingly. Some students are good in some subjects and do not require practice since they will get near perfect scores, while in other subjects more studying is required. So, though the student may not have much free time, utilizing the free time available efficiently can help improve their overall GRE score.